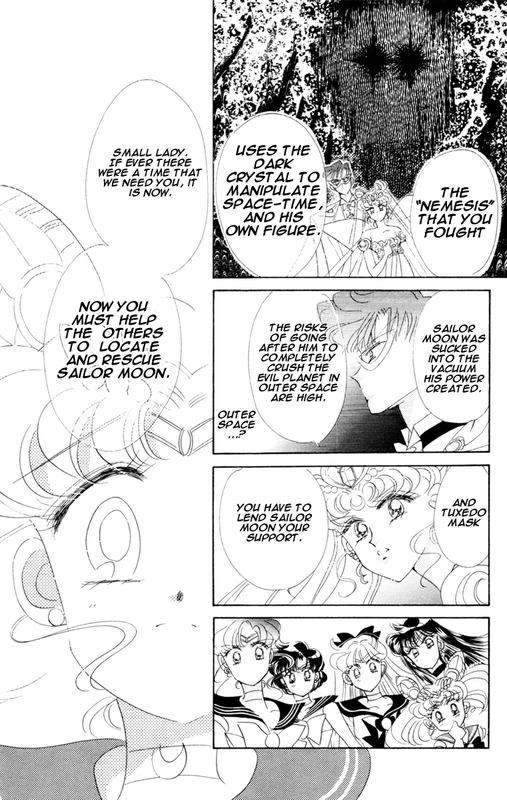 Possibly Existence Erasure: Well, Sailor Moon and Chibi Moon erased Death phantom, who is just a mere will alongide his physical body, i was not sure about that but someone tell me that it's a form of EE. I suggest to Remove some useless things in her Cosmic key, like: "Past Life Awareness", "Mind Control and mind attacks", "Restoration", "Can penetrate through space-time barriers" or other things like that, this make the profile very not clear and easy. Being a "will" is not abstract existence, and the scan says that things were sucked inside the black hole. Okay, So i just want to know what is that, what calification to being a "will"? The Causality wrote: Okay, So i just want to know what is that, what calification to being a "will"? It's isn't the real nemesis which come to earth, it was a "space time avatar" this avatar use the energy of the black crystal to do some stuffs like absorption, nullification and erasure, basically, the energy of the BC have many effects. Well, In Conclusion, Wiseman become a sort of Non Corporeal guy, his EE and Death Hax aren't passive. Moon obtain EE and the Resistance to Life Force Absorption and about the profile, it's good I guess. Moon's stuff seems fine, yeah. 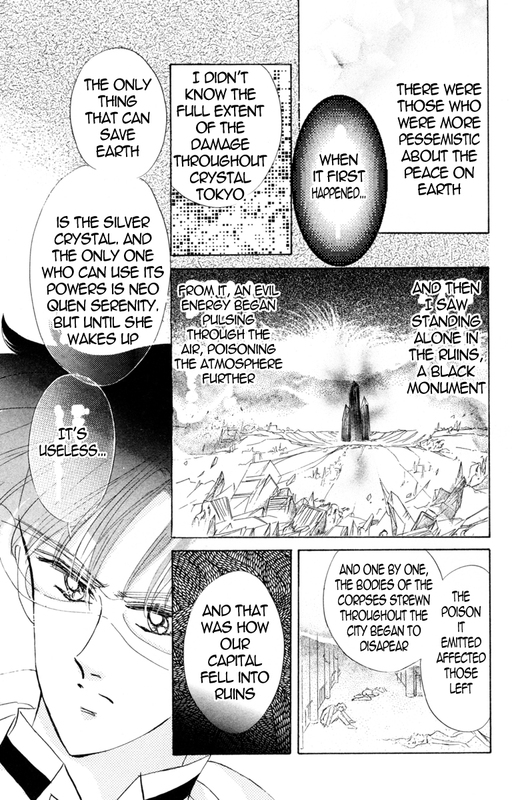 Although the scans don't imply Wiseman is Abstract, they seem to be stating that his corpse drifted amidst Space, until it merged with Planet Nemesis alongside his Will / Consciousness, which then became his "main" form. At best I can see him being Non-Corporeal due to that. Existence Erasure is a no, since things are described as being sucked into what looks like a Black Hole, not outright erased. Power Nullification seems fine though. "potentially higher" should be fine, yeah, though I would like to hear what others have to say. "potentially higher with the Silver Crystal" then? I'd agree if he had obtained it in canon, but iirc he didn't. I think that our stance on keys for stuff like that is "if it was definitely going to happen they get the key". For example, Zamasu's 2-C key is a "without Zen'ō's intervention he would have definitely reached 2-C" sort of situation. I see, it isn't applicable since he didin't possessed the Silver Crystal to begin but wanted to possesses it to allow him to do this. Okay, for now i need other people about the accepted OP stuff so let's wait. I trust Kaltias' and Ultima's senses of judgement. 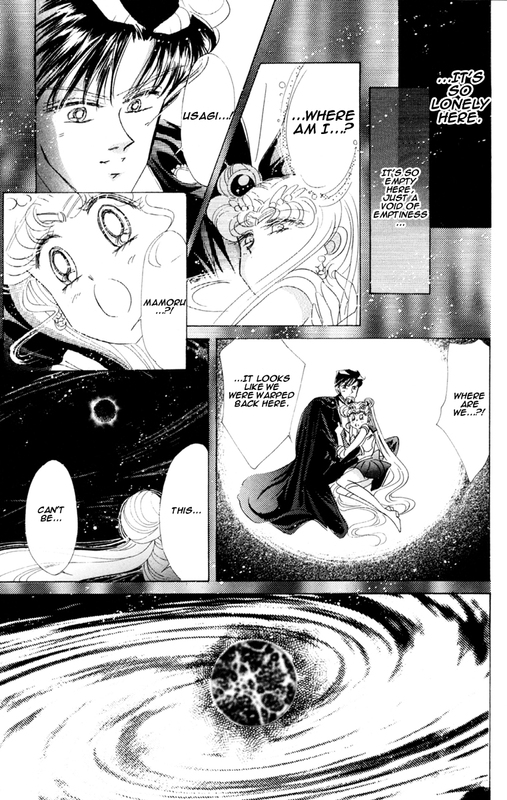 Yeah, I don’t see how being sucked into a black hole counts as death manipulation or existence erasure, especially the former as nothing really suggested that Wiseman was inflicting death. The rest of the stuff looks fine. @Ant i guess i can start the revision with the accepted stuff? It's kinda hard to tell on the passsive Erasure and Death Manipulation part, especially since we don't have the exact rate in which the black crystal deteriorates all life on a planet, so i'll have to side with Kal and Ultima on this one. The Passive Erasure comes from when they first arrived in Crystal Tokyo. They noticed the bodies and the buildings were disappearing. And then in the next chapter King Endymion repeats the statement. Well' i'll do the change tomorrow, i'am tired now. Okay. I will unlock them. Tell me here when you are done. I have locked Sailor Moon and Chibi Moon. Have you applied the changes yet? Well, it's better to lock his profile until i've really the time to fix it. You can tell me here when you are done. Kaltias wrote: I'd agree if he had obtained it in canon, but iirc he didn't. He did have it at one point. Although that may need confirmation. Now what's fishy about this feat is the calc with the assumption his planet has already reached the size of the solar system when it was destroyed, when it only said it was going to (eventually) swallow the solar system. A freaking 80 AU planet the size of Pluto's orbit, putting in the TeraFoe and making it the highest 4-B feat. Even then, does he scale? Hmm Yes? Nemesis already reached an astronomic size at this point, in the middle of this arc, the planet is already larger than stars . It's not enventually, he will, he clearly say that he will do it alongside the Crystal, the earth and the SS. and the last Yes, he scale. @Ant you can lock his profile for now, I will send you a message if i want to edit it when i've time. Yes but not sure if the terafoe calc can be used as he may very not have reached 80 AU, not before being destroyed at least. Because the calc assumes it is 80 AU. I don't agree, he already reached this size, the moment when he will absorb the SS, it's some times before getting a size larger than stars and he continuously grown, and he will envlop it immediatly when he already have the energy. Okay. I will close this then.